This comes down to 15.13 cent per brick. 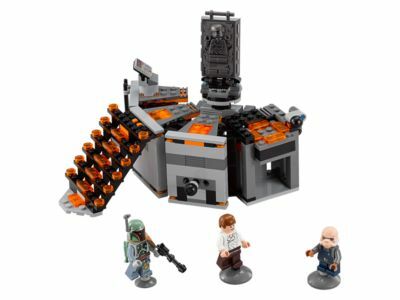 The Carbon-Freezing Chamber (75137) Lego set is no longer directly available from the sites below. However, 3rd party partners of these sites might still have the set available. Alternate description Help hero Han Solo avoid being frozen at the Carbon-Freezing Chamber, with control center, freeze bed with freeze function, staircase, elevator and 3 iconic minifigures.